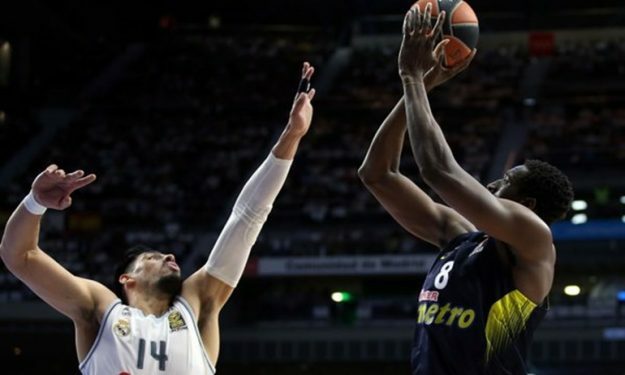 While Fenerbahce has expressed Ekpe Udoh the desire to keep him in the team for the upcoming season, it won’t wait forever for him to make his decision. According to Eurohoops sources, the American center has to give his final answer to the club’s offer in 48 hours. Of course, Udoh, one of the best big guys last year in Euroleague is pondering a possible return to the NBA. And that’s why the Turkish champions are already examining alternative choices, in order to fill the gap that might appear in its frontline. One of them is Gustavo Ayon. The Mexican center who last played for Real Madrid, is one of the candidates that greatly interest Fenerbahce (as Mundo Deportivo also reported). The two sides are already in talks, but nothing will happen until Fenerbahce knows what will happen with Ekpe Udoh, who remains the priority. It goes without saying that Fenerbahce remains a favorite for Udoh in Europe. If there is one other team in the continent right now which might land the 29-year old center, that is no other than Darussafaka Dogus.